Wonderfully Finished Brand New Build from Zetsen Master Builders. Tucked away in a Valleyview West Cul-de-sac, this new Two Storey floorplan has many features you're going to fall in love with. Triple car garage, RV Option, covered deck, oversized lot, 9ft main floor ceilings, hardwood/tile floors, quartz kitchen counters, slow close cabinetry, electric fireplace, walkthrough pantry, coffered ceiling, back entry bench seating and so much more. Bright and inviting main floor tied together with a cozy gas fireplace complete with floor to ceiling tile accent. Excellent upper level with 3 bedrooms plus a bonus room - Master Bedroom features vaulted ceiling, walk-in closet and a stylish 4pc ensuite complete with soaker tub and tiled shower. Heading outside you'll appreciate the large yard providing many possibilities including a coveted RV Option. 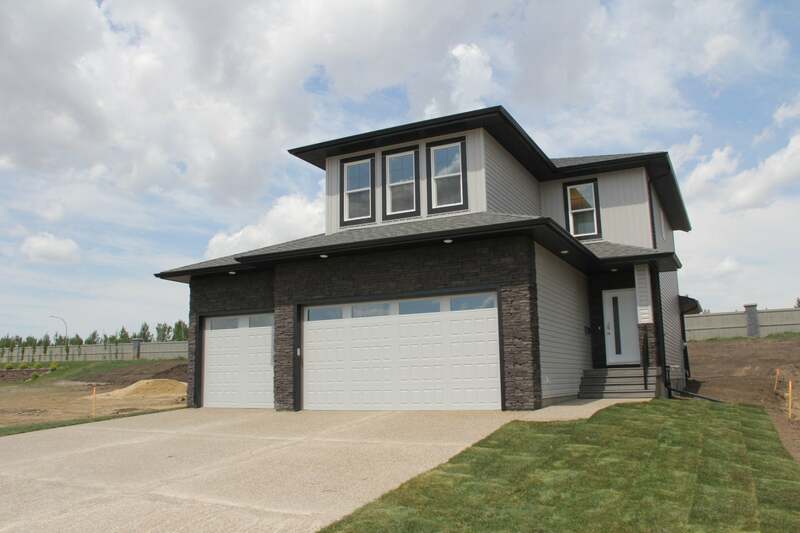 This brand new build is finished and ready for you to call home! Floor Area 1,747 Sq. Ft. Lot Size 0.00 Sq. Ft.